After all, there’s only so many of Uncle Jack’s uncomfortable hugs you can take before you need a good stiff drink. Here are a few drinks that will not only compliment the pastel color scheme that Easter invites but also the unexpected surprises that come with large family gatherings. You may not love carrot juice, but don’t turn your back on this drink just yet. It’s the perfect balance between sweet and tart. Add grated ginger and ice to your cocktail shaker. Add pineapple juice, carrot juice, lemon juice, and gin. Shake briskly, strain, and pour into your cocktail glass. It’s best served on the rocks with a lemon slice and a mint sprig. Nothing screams Easter like sugar coated marshmallow rabbits dyed in pastel colors. It’s about time there’s a way that grown-ups can enjoy these Easter novelties without being judged. In a shaker filled with ice, pour cherry vodka, triple sec, half and half and grenadine. Shake until chilled. Dip the rim of a margarita glass into colored sugar and then garnish with a lemon wedge. 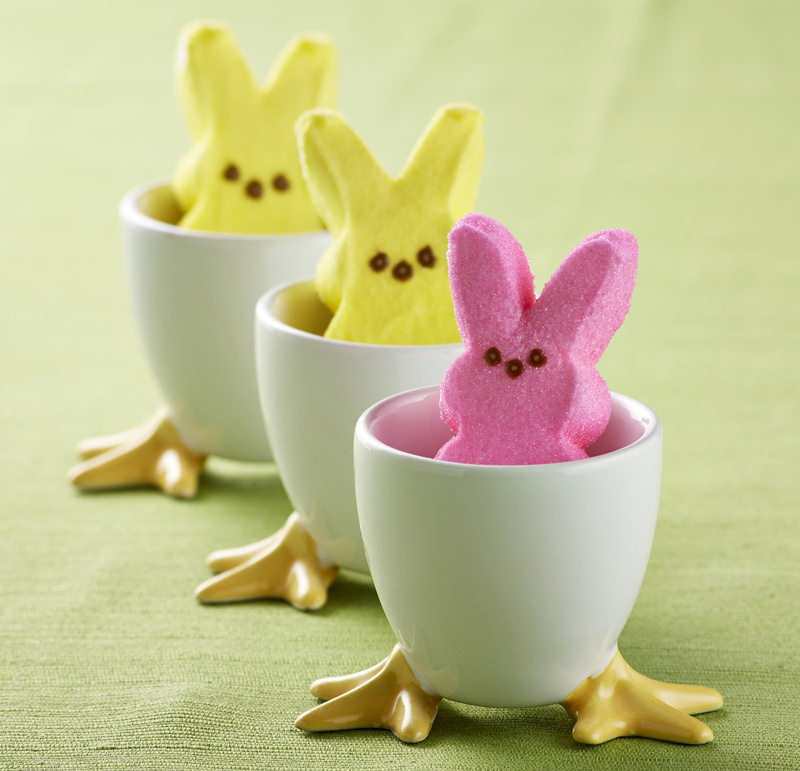 Pour drink into glass and add a PEEPS® to make it pop. There’s always a call for the bubbly. Add a bunny, and you’ve got yourself the perfect Easter cocktail. Mix 1 part vodka to three parts champagne in an ice filled shaker to chill. Strain and pour into a champagne glass. Looking for the right drink for that Easter brunch. Try this pastel spin on a classic mimosa. Add some lemon juice and switch out the champagne for some Prosecco and traditional mimosa will be customized for Easter. Pour together orange juice, lemon juice, and liqueur into a chilled champagne flute. Add Prosecco. Garnish with mint leaf and serve immediately.